From July 9 to July 13, we did our Vacation Bible School/Day Camp with Rainbow Trail Camp team- the kids had a week of fun, learning, and sharing God's love! For more information on our children's ministry and family events, follow this link to our Families and FaithQuest page. Our junior high students and adult leaders spent a weekend in Colorado Springs for the annual synod youth gathering. This year's theme was "Wait What?" and we learned about how we are all children of God, regardless of our age, gender, gifts, or hurts. We got to participate in amazing worship, learning, and group bonding. For more information on Confirmation Class and middle school-related information, follow this link to the Junior High page. 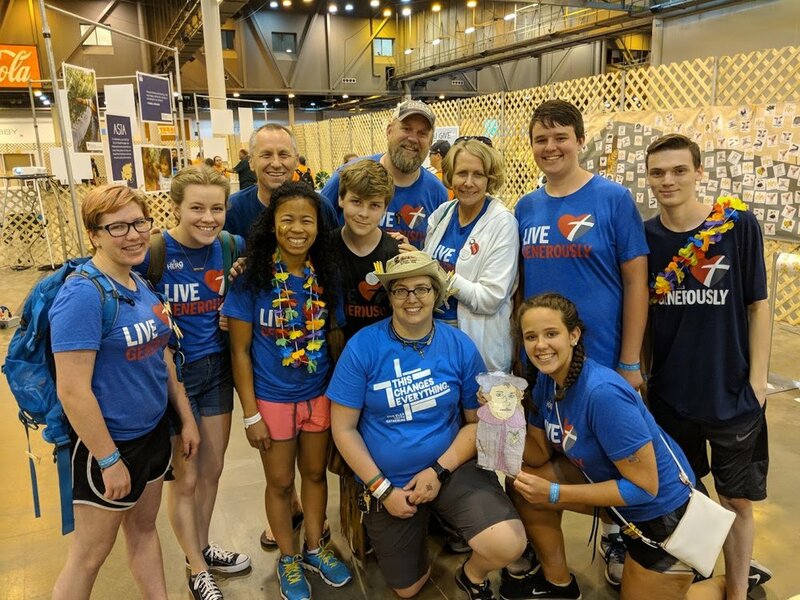 In June, our senior high students and adult leaders headed down south for our denomination's National Youth Gathering. We served an elementary school affected by flooding, several of us donated blood, and we learned about Houston's Third Ward from local business owners. For more pictures and stories, follow this link to our Senior High page.